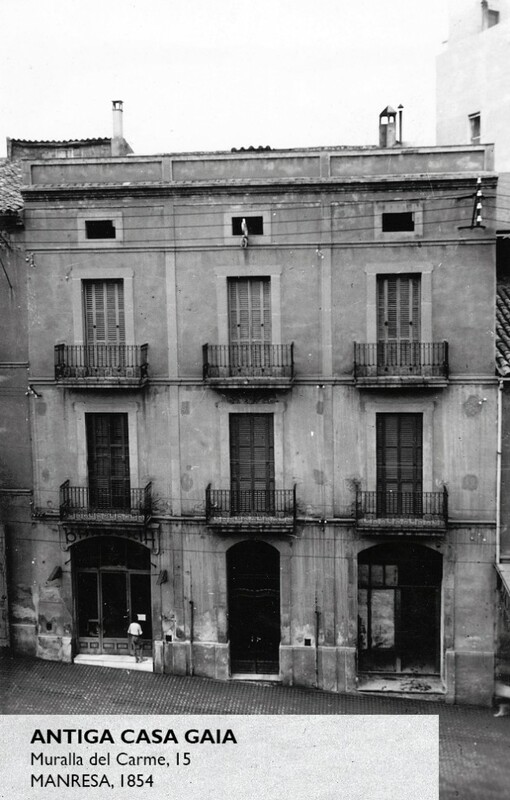 We open the house that saw JOAN JORBA RIUS’ birth and death, the most important commercial entrepreneur in Catalonia, to the new ENTREPRENEURS of Manresa and vicinity. The house lies next to CAN JORBA, the most representatives ample of “art deco” outside Barcelona. 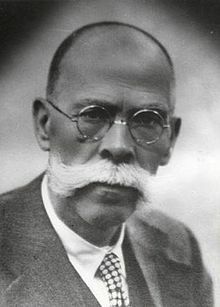 Joan Jorba Rius (Castellgalí, Bages, 1869 – Manresa, 1938), was a Catalan businessman textile sector and distribution. Joan Jorba i Rius was a textile and distribution businessman. 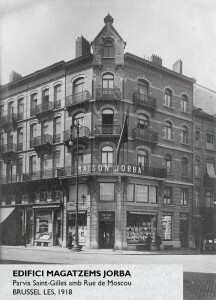 As soon as Pere Jorba i Gassó’s son, Joan Jorba i Rius, apperars as the general manager of the department store in the official documents, the company expands abroad and opens a branch in Brussels on 1919. The city is well known due to his trips that allowed him to know more about the european trading philosophy. Soon, Joan Jorba showed to have an open and innovative character in trading, developing a new concept in department stores and modernising marketing and sales methods. Pioneer in mail-order sales and home delivery in his sale strategy. He even published his own magazine Revista Jorba, to introduce new products. 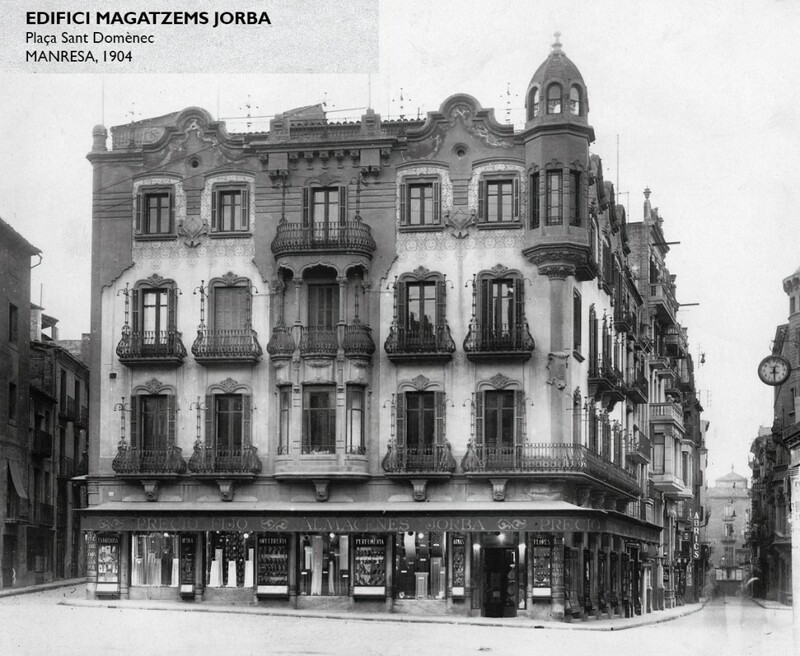 First department stores were open in Manresa, by architect Ignasi Oms, built on 1904, and refurbished in 1936, 1943 & 1952. One of the few “art deco” buildings in Catalonia. Open until mid 80s, they are part of the city’s history. The expansion came at it’s high when he opened in 1926 in Barcelona, Portal de l’Àngel, on a classicistic style. New urbanistic regulations allowed a higher building, quite unusual until then. The style shows a majestic and elegant building. Big open spaces and big windows on each floor show the commercial aim of the building, highlighting the ground floor, with a magnificient view from the outside. 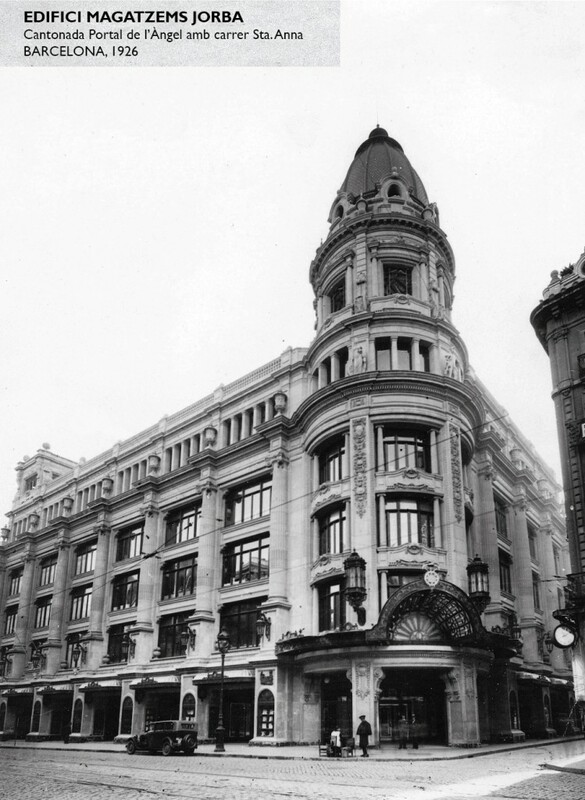 They were also benchmark for a long time not only for the department stores in Barcelona, but all of Catalonia. 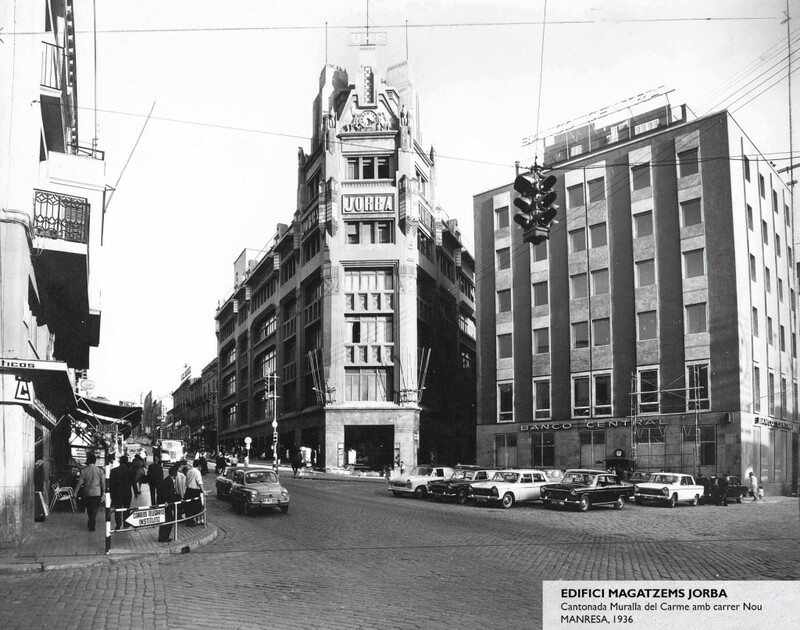 They were not the first department store that opened in Barcelona, though they enjoyed great popularity amongst the citizens from the 40s throught to the 60s when they were sold to Galerias Preciados on 1963. The department store meant a lot to the citizens daily life, bringing to reality from local festivities shows and amusing childs in christmas to catwalks and art exhibitions.